Metal is a popular building material because of its durability and cost-effectiveness, but without a quality protective coating its durability and appearance is compromised. If your metal building or metal siding has seen better days, K2 Painting can help. Contact K2 Painting for metal refinishing, painting & coating done right, whether it's metal railings on your porch or protecting a warehouse roof. K2 Painting is proud to partner with Sherwin Williams to ensure the work we do looks great and lasts. Most jobs start with us consulting Sherwin Williams product representatives to determine the coating system that will bond best to your existing faded or failing coating. The most common factory applied coatings on metal buildings are polyesters, silicone polyesters, oraganosols, plastisols, and flurocarbons—all of which can be refinished. 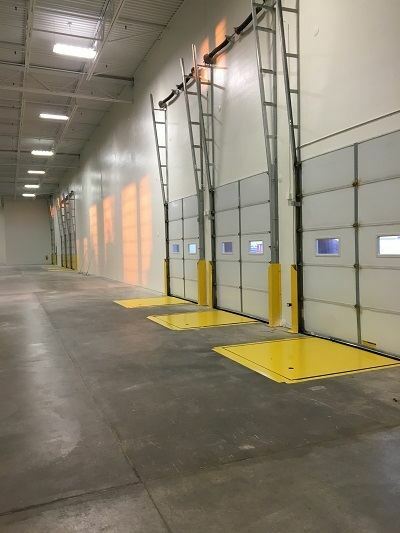 With careful surface preparation, and the right primer and topcoat, a professionally applied coating from K2 Painting will give your metal building a look that rivals the original factory finish. K2 Painting has extensive industrial painting experience refinishing and painting metal roofs, sidewalls and awnings on commercial buildings (offices, restaurants, banks, strip malls), agricultural buildings, factories and warehouses. Multistory building? No problem. We use aerial lifts and safety rigging to achieve impressive results. Quality work starts with quality paints and coatings. We use products from Sherwin Williams and PPG Coatings exclusively. These are the industry leaders for good reason, and we will not compromise the quality of our work with lesser products. The appearance and durability of your coating is directly affected by the quality of the surface preparation. As much as 80% of coating failures can be directly tied to improper surface preparation. Proper surface preparation ensures your coating will meet the expectations specified by the manufacturer. Environment, location, budget and coating life expectations all factor into which coating system K2 Painting will choose for your metal building. 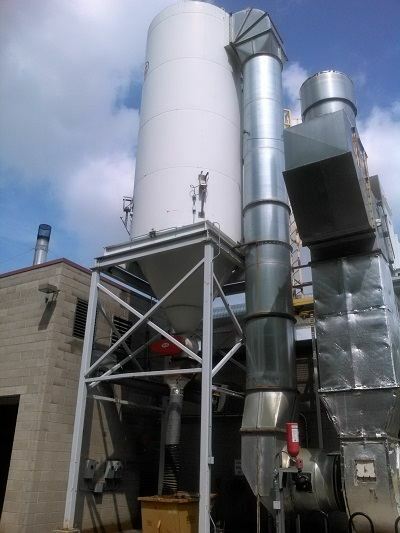 After addressing surface preparation needs, your coating system needs will be evaluated. Local environment will play a part in this assessment. K2 Painting has years of experience with spray technique, proper mixing of products for local weather conditions, and can get consistent wet and dry film thicknesses. All of these factors contribute to a quality finish that will stand the test of time. Environmental considerations include sunlight, wind and wind-born particles and chemicals, biodegradation by fungi and bacteria, extremes of heat and cold that can crack film, adverse reactions between coating components. Application related considerations include using the wrong method of application or poor use of application, incorrect mixing & improper thinning. Design related considerations include a physical structure on which it may be virtually impossible to achieve a continuous coating, inaccessible areas, dissimilar metals in contact, solvents being unable to dry completely because they cannot escape from an applied film. K2 Painting will pressure wash your building (roof, sidewalls, awnings, etc.) at 4000 psi. All surface contamination, such as dirt and soot, oil, grease, loose paint, mil scale, rust, mold, mildew, mortar and sealers must be removed to assure a proper bond of the new coating to the original coating. Each situation is unique and K2 Painting may dull your surface by washing with a detergent or water and lightly sanding the surface. 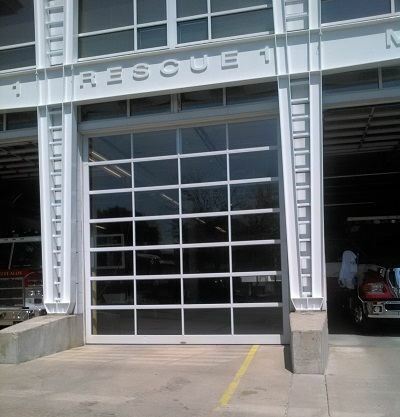 We do not sand blast or completely remove all of the factory coating from all metal surfaces. Replacing the panels would likely be more economical than sand blasting. Areas with major rust or complete coating failure, however, will need to be taken down to bare metal by use of grinder/sander. We then spot prime these areas. After spot priming bad areas, are we ready to paint? Our process goes well beyond what many commercial painting contractors will do. Before applying the finish coat, a bonding primer is usually applied to ensure good adhesion of the finish coat. It all depends on the coating system K2 Painting determines will work best on your building, your expectations for the finish, and your budget. Because we realize everyone has different needs and budgets, K2 Painting can provide estimates based on different coating system options. The use of different primers and top coats, as well as the labor costs involved in prepping the surface and applying the coatings all factor into the total cost for a job. We do our best to offer affordable alternatives as well as top of the line finishing options. Regardless of which finish option you choose, our primary goal is always to enhance the appearance of your building for the long haul. We don’t just roll in and spray any old top coat on your building and leave knowing full well it will peel in a few years. We give you the best possible finish within your budget. Has your building been painted by someone else and is already peeling? Sorry to hear that. In this situation, K2 Painting can remove the failing paint job by high pressure water jetting. We can then bring your building back to life with a proper paint job. For a free estimate, contact K2 Painting online or call 262-242-0449. K2 Painting’s service area covers all of greater Milwaukee, including: downtown Milwaukee, Germantown, Mequon, Menomonee Falls, Sussex, Oak Creek, Franklin, Wauwatosa, West Allis, Delafield, Pewaukee, Brookfield, Waukesha and surrounding cities.